Is Your Garage Door Getting in the Way of Selling Your House | McKee-Horrigan Inc.
Is Your Garage Door Ruining Your Home’s Curb Appeal? You’ve done everything you can think of, and your house still won’t sell! You look through your to-do list, double-checking all of the tasks that are proven to increase the appeal of your home. You’ve renovated the kitchen and bathroom. You plucked out the weeds from the front yard and backyard, perhaps turning them into some sort of miniature botanical garden. You’ve repainted the walls of the various bedrooms, and you’ve added a ton of minor fixes such as lightings, new windows, and maybe even marble countertops. And you still can’t sell! But have you considered your garage? It’s not the most obvious place to look when trying to diagnose a home’s inability to sell. However, it should be one of the first since residential garage doors have a drastic effect on your home’s curb appeal. It’s unfortunate that so many people overlook this aspect of home selling, but it could mean the difference of a for sale sign on your lawn, or a listing on realtor site that never disappears. If you’ve heard the term “Curb Appeal” before, you may or may not have a clear understanding of what it entails. To make it simple, curb appeal refers to the attractiveness of a property when viewed from the street, whether it’s residential or commercial. The term grew in popularity in the U.S. during the housing boom, and it’s a phrase adopted by real estate markets in various countries throughout the world. Now curb appeal is a broad term. It can describe so many areas of the home, so it’s not always easy to distinguish what it entails exactly. However, it’s important to know what elements are part of your home’s curb appeal, so that you can tweak them for your benefit. For more on enhancing your curb appeal, www.clerawindows.com has an excellent article about enhancing curb appeal here. Front Lawn/Garden – Whether you’ve got weeds, tulips, or turf, your lawn speaks a lot about the value of your home. Mailbox – Your mailbox may seem like a trash bin before the trash, but it can actually adorn (or taint) your home’s appearance. Lighting – Not everyone has lights on their property, but for those who do, the condition of these lights can raise or lower their home’s curb appeal. Driveway – It’s more than just plain old asphalt. Your driveway can attract or repel prospects. Front Door – Your front door design is one of the first things prospective home owners notice, even if it’s something they can change. Therefore, it’s an important aspect of curb appeal. Doorsteps/Railings – Unlike your front door, many homeowners opt to keep doorsteps the way they are, so if they don’t like what they see, they might think twice. Garage Door – And then there’s the garage. Residential garage doors can dramatically influence curb appeal depending on their construction and condition – two elements which we’ll discuss in further detail. The best way to understand the importance of curb appeal is to compare it to the experience of meeting new people. You’ve heard a million times that a first impression is often the last. So it has to be right. There are many people out there with vibrant personalities, yet disguise those traits behind a distracting and uninviting demeanor. Are they bad? Of course not. However, the impression they created turned people away from all the good qualities they have. Likewise, your home’s curb appeal works as its first impression. What people see on the outside, will often work as a magnet or repellant. That’s precisely why curb appeal is such a big deal, and why you want to make sure your home excels in this department. It’s true, that many of the things that contribute to curb appeal are fixable – much like the off-putting demeanor of an individual – but for those looking from the outside, they’ll see it as too much of a burden. So it’s your job to make sure your home shines and grabs positive attention in every way possible. As mentioned in the section “The Mosaic of Curb Appeal”, residential garage doors greatly affect a home’s outward appearance. The biggest reason is due to the fact that they take up so much space, and thus, are highly visible. Even windows and doors may not attract as much attention as the garage does upon first glance. It can seem like a paradox, since people focus less on the garage (unless it’s a disaster) when looking at a house of interest. Yet still, they may inexplicably find that a home doesn’t reflect their taste, and it could very well be a result of the garage. 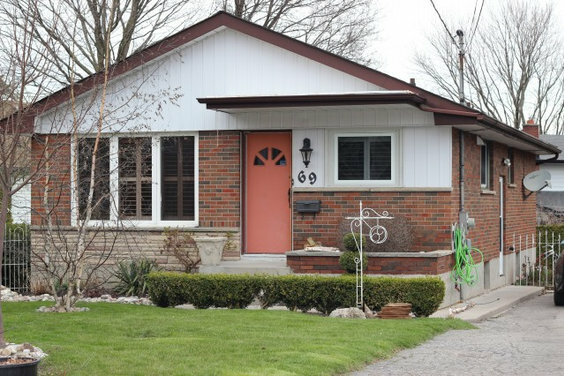 Paint Flop/New Paint Job – A common curb appeal crime is a poor choice of paint colour for a garage. It may not blend with the rest of the home’s colour scheme, or it may simply look too bright or dull. Remember, colour has a huge effect on the mood of onlookers, and the wrong choice can drive them away. 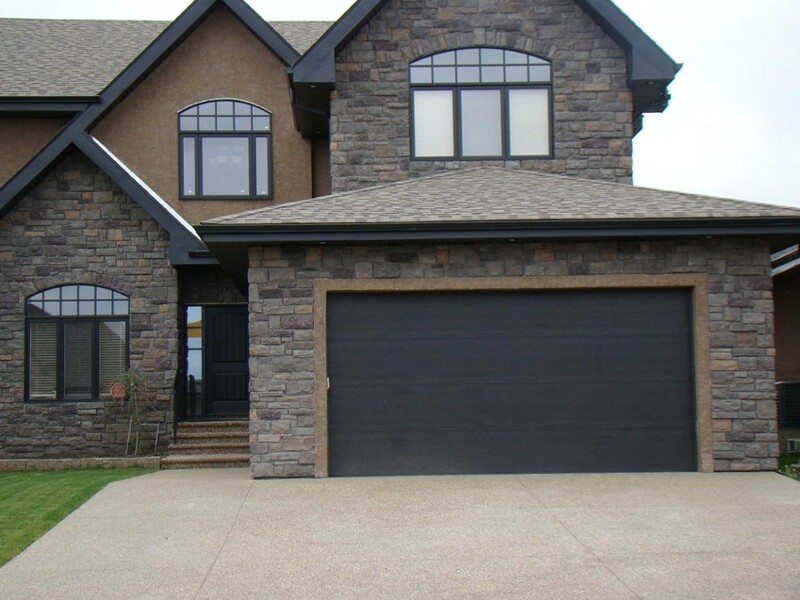 Therefore, it’s wise to consider the colour of a garage door paint job when looking to raise curb appeal. If you and others agree that it’s got to go, then it’s time to repaint! Door in Shambles/Fix it Quick – Now this one should be an obvious point. A garage door that looks like a storm ripped it apart shouldn’t be left alone. You need to fix it immediately! A door that’s unhinged, punctured, or in some other way deformed, needs urgent repairs. Doors in this condition may give off the impression that this particular home is about to fall apart, or is compromised in some way. Therefore, it’s vital to make the necessary changes right away. It’s Not the Right Fit/Find a Better One – We humans are vain, and style is a big part of why we buy or decline a certain home. Sometimes the garage may not have anything wrong with it’s colour or condition. However, the style might just be dull. In such instances, replacing your current garage door with a different style (i.e. panel, solid) or material (i.e. wood, aluminum) can significantly change the way people perceive your house. So don’t hesitate to make this change if you feel it’s necessary. If you’re one of the unfortunate few who seems to be having a hard time selling a home, give serious consideration to the current state of your home’s curb appeal. It’s an area of the home that often goes ignored by those looking to sell their house. But as mentioned throughout the article, it’s important to prioritize it. Like many homeowners out there, you might be surprised at how much more value your home will hold if you pay more attention to this area. And of all the things mentioned, residential garage doors may have the most dramatic impact. Whether it’s a stylistic concern or a functional issue, make sure your garage is doing your home a favour – that is, inviting prospects instead of driving them away! Need more advice on how to maintain your garage doors? Get in touch with us so we can help! Does your Garage Door represent a large portion of your visible home from the curb? MckeeHorrigan.com has a a great blog about how important garage doors are to curb appeal. You can see learn more here.